Description:POPPY has a very sad tale to tell. He was found in the dark of night, wandering along a country road, all alone. He was scared, confused, hungry & cold. Every farm home in the area was contacted, and no one had ever seen him before. It became clear that Poppy had been purposely dumped to fend for himself. Thank goodness he was found before he froze to death or was taken by coyotes. 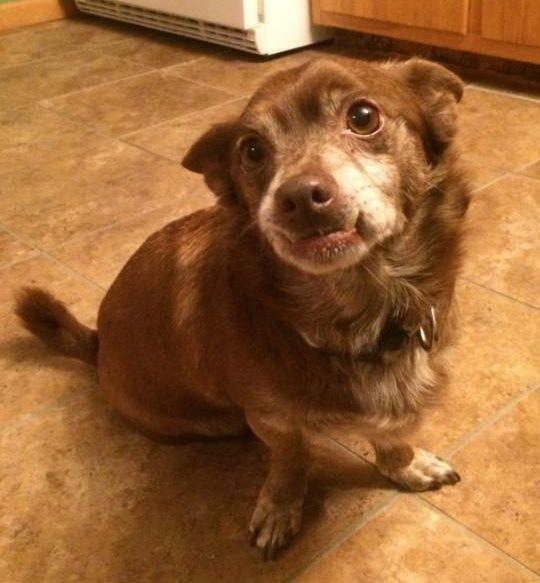 Poppy is an older gentleman, probably 10-12 yrs old. He is understandably nervous & unsure of people. He needs a patient & compassionate adopter where he will be given all the time he needs to come around on his own terms and not be forced to adjust quickly. What he really needs is somewhere to retire, relax, and learn to enjoy the good things in life. No kids for our Poppy. He needs a quiet home without a lot of coming/going or noise/activity. He is housetrained & likes to lounge. Please help Poppy in his journey to find happiness in his golden years. He deserves that. 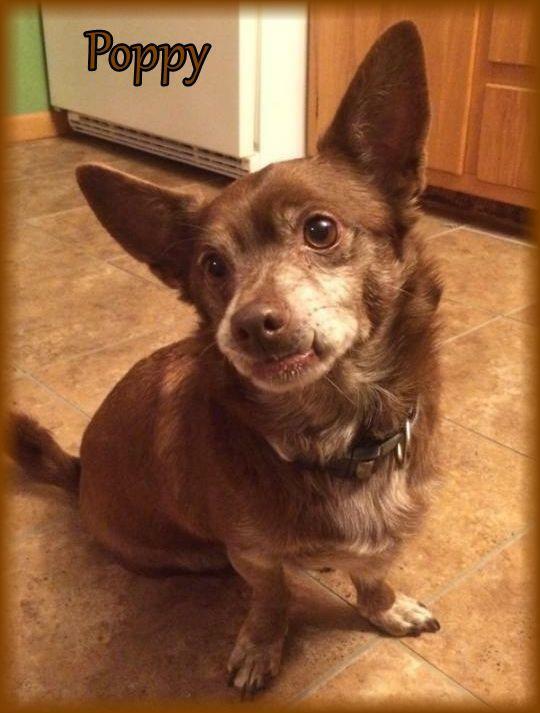 Poppy is neutered, vaccinated, microchipped, & had a dental to get his teeth nice & clean. Adoption fee is $175 . For adoption guidelines and to submit an application, please go to this link: http://dollyslegacyanimalrescue.org/adopt/ We are a foster-home based rescue group and do not have a facility. The first step is to have you complete our online adoption application. All adoption appointments are scheduled after your application has been approved. We are 100% volunteers & will generally reply within 3 days of application submission. PLEASE be sure to answer all questions completely or it will delay processing, be sure to include vet phone#. If you have any questions please email DollysLegacy@aol.com. Please 'LIKE' our facebook page to learn more about our rescue, see more pictures & get updates on all our adoptable pets!